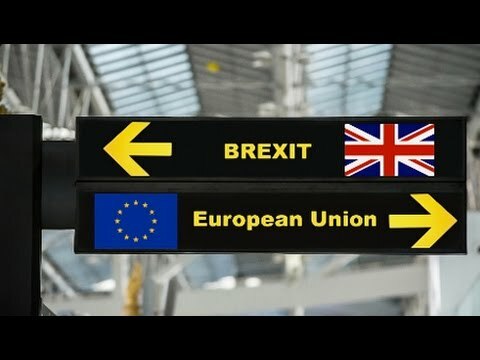 The British government published its proposals on Thursday for a Great Repeal Bill, aimed at converting European Union law into domestic law, on the first day after Britain leaves the EU. Britain’s Brexit minister, David Davis, told Parliament that the Great Repeal Bill will provide clarity, and certainty for businesses, workers, and consumers, across the United Kingdom, on the day the UK leaves the EU. However, a recently released report from the group called, Another Europe Is Possible, has warned that the proposals grant the government an almost unprecedented level of unaccountable power. Using a political process that will chill democratic scrutiny. Nick is joining us today from London, Nick welcome back to The Real News. NICK DEARDEN:	Thank you very much. KIM BROWN:	Nick, you recently responded to the proposals for the Great Repeal Bill by saying, “The White Paper on the Great Repeal Bill confirms that it will give unprecedented powers to the government, to change a very significant proportion of law, and that the use of Henry VIII powers on this scale should send a chill down the spine of anyone who genuinely believes in parliamentary sovereignty”. Can you explain precisely why you think this bill poses such a threat to democratic rights? NICK DEARDEN:	Sure. Well, first of all, we’ve been governed by European law since the early 1970s, so much of our law is made in the European Union. Our government has a role in that. We elect representatives who have a role in making those laws. And those laws, by this point, amount to 10,000 or more specific pieces of legislation, regulation, and statutory instruments. So, we’re talking about a huge quantity of law. And it covers workers’ rights, it covers environmental protection, it covers consumer protection, it covers some of our fundamental human rights. So, this is a vast amount of law that’s got to be transposed from European law, into British law, and it’s got to be done relatively quickly. So, it’s a mammoth task. And the government argues, the only way we can do that task is by giving unusual and exceptional powers to the government, the Executive. In particular, they have these things called Henry VIII powers, or Henry VIII clauses -– Henry VIII was an English monarch in the Renaissance period, famed for chopping off the heads of some of his wives –- and he took upon himself some powers whereby he could issue decrees by proclamation outside of the Parliament. And these powers, they were controversial even then, but they somehow managed to survive, and we’re worried that in this process of supposedly simply transferring law from European to British law, actually a huge amount of power through Henry VIII powers, and so on, are going to be delegated to ministers so that they can begin tampering with our rights, protections and standards, without parliamentary scrutiny, and without parliamentary approval. KIM BROWN:	David Davis, who is the minister for Brexit, had this to say about the future role of the European Court of Justice. DAVID DAVIS:	Resettlements. I can confirm, the Great Repeal Bill will provide no future role for the European Court, in the interpretation of our laws. And the bill will not oblige our courts to consider cases decided by the European Court of Justice, after we have left. However, for as long as EU-derived law remains on the UK statute book, it is essential that there is a common understanding. As such, we propose the bill will provide for the European Court case law, be given the same status in our courts, as decisions of our own Supreme Court. The Supreme Court does not frequently depart from its own decisions, but it does so from time to time. And we would expect the Supreme Court to take a similar, sparing approach, to departing from the European Court of Justice case law. But we believe it’s right, it should have the power to do so. KIM BROWN:	Nick, what concerns, if any, do you have about the loss of influence in the European Court of Justice, and are they allayed by the willingness to incorporate the ECJ case law into UK case law? NICK DEARDEN:	The European Court of Justice, is a particular bogeyman for some of the people on the right wing of the Conservative Party, who’ve never liked the European Union. They view it as, us being essentially having our laws adjudicated by a foreign court. I mean, actually that’s not true, because we’re a part of the European Union. We’re part of its democratic processes, and it’s a proper court, with proper judges and all the rest of it. It’s a positive thing that they’re going to maintain past precedent, because without that it’s going to be really difficult to work out how British courts are going to be able to judge some of the laws that we’re transferring into British law. There’ll be no case law to go on. So, that’s a positive thing. But, I mean, more generally, I really find their arguments about the European Court of Justice just a bit silly. I mean, we’re still going to have to conduct huge amounts of trade, we hope, with the European Union. And that trade is going to be governed by dispute resolution panels. Maybe even investor state dispute resolution panels, which allow corporations to sue governments for doing things they don’t like. This is far, far less democratic than the European Court of Justice was. And, really, a lot of these people, they live in a past era, where there was much less economic integration. And rather than trying to make that economic integration as democratic as possible, and give it a strong social aspect, and give people a voice in it, they simply just want to pretend it doesn’t exist. And so they say, well, the Parliament here in Westminster has to be absolutely sovereign; nobody else can have any interference in our internal affairs. The Parliament at Westminster’s always been sovereign. It made a sovereign decision to join the European Union. It can, as we’ve now seen, make a decision to leave the European Union. But, the idea we’re not going to be affected by any other international institutions in the world is frankly crazy. And I would much prefer to have adjudication by a court with proper judges, that was part of a democratic system, than I would completely unaccountable international institutions and trade deals, which is what we’re going to end up with post Brexit. KIM BROWN:	What are you calling for? And what can people in the UK do on a practical level that might influence the Great Repeal Bill? NICK DEARDEN:	The number of laws that are going to be, not just transferred, but also changed in the next two or three years, is going to be absolutely phenomenal. And it will touch everybody in the country, and every aspect of their lives. And I think people aren’t geared up anywhere near enough for what a big task this is, and how, if we don’t keep our eyes on it, if we don’t try and hold to account the government, challenge what they’re trying to do in various important ways, we’re going to end up with the most enormous power grab. You know, we don’t have a written constitution here. And most countries that have written constitutions, they wouldn’t allow something like Henry VIII powers. But we have a very archaic parliamentary system. Unfortunately, that does make it easier, for governments like ours, who believe they have a mandate from the British people — even if the British people only voted marginally to leave the European Union — and they didn’t vote for all manner of other things that are now being told… we’re being told, well, that’s just how it is, this is what people voted for. We never voted to leave the European Single Market, but we’re being told we absolutely have to. We didn’t vote to rip up freedom of movement of people across the European Union. We’re now being told, and yes, absolutely that’s what people voted on. So, all kinds of major decisions are being taken at the moment. And not only are we, as a public, unaware of that, but Parliament is particularly supine, in its ability to challenge the government, or confront the government, or change any of this. And if we really want to change any of this, then ordinary people need to educate themselves about what’s going on, and we can help do that by trying to explain what the Great Repeal Bill is. We need to get this stuff in the media, and most important, we need to tell our elected representatives not to simply sign away their authority for scrutinizing, and holding the government to account, about how these laws are going to be changed, and what our new laws are going to look like. I mean, there’s going to be… We’re going to completely have to rethink our trade regime, our food and farming policies. Our immigration policies, our taxation policies -– all of these things are going to have to be rewritten — and they’re going to have to be rewritten very quickly. At the moment, I would say, our Parliament is simply proving itself not to be up to the job of scrutinizing this. KIM BROWN:	Well, speaking of challenging and confronting, Nick, I mean, how do you feel the opposition, namely Jeremy Corbyn, and the Labour Party, how do you feel that they have been doing in challenging what’s been called, the right wing Brexit here? NICK DEARDEN:	It’s been very difficult. Jeremy Corbyn has had a very rough ride within the Labour Party itself. There are many MPs who simply don’t support him, and they make no bones about the fact they don’t support him. So, he’s finding it difficult to control the Labour Party. As a result of that, and the line that the Labour Party has taken on Brexit, and on holding the government to account, I think for many, many people has been less than satisfactory. Even though our governing party, the Conservatives, only have a very small majority. When the bill that triggered our exit from the European Union went through Parliament, there were hundreds of amendments put down on that bill, not a single one got through. So, you know, the opposition has been unable to provide any kind of scrutiny, accountability, guidance -– call it what you want -– on the government. And they are now going to negotiate our exit, with absolutely no say from Parliament at all, and that’s a really frightening situation. Especially for a country like ours, that doesn’t have a constitution, because they’re effectively going to be rewriting that constitution. So, he’s struggled. Corbyn has struggled, the Labour Party have struggled. They partly struggled because there are huge divisions in this country. It’s a very, very divided country at the moment. There are some very frightening things happening. And I think the opposition parties are struggling to get a grip with just how serious this situation is, and how they can get some leverage. Because all this is being swept before this idea, that this is the will of the people. And there’s nothing you can do to challenge anything that Theresa May — an unelected Prime Minister — wants to do. Remember, this government wasn’t… at the time of the last general election; it wasn’t that long ago, most of this government looked completely different. The Prime Minister was different, a different person. And the manifesto that that party stood on has been essentially ripped up. And they are simply governing by doing whatever they feel they want to do, and it’s really a very frightening situation. And the opposition in Parliament, have not done anywhere near enough to try to redress this. KIM BROWN:	Indeed. Well, we have been speaking with Nick Dearden. Nick is a director of Global Justice Now, which is UK-based public interest and social justice organization, affiliated with Another Europe Is Possible. And Nick’s group is in opposition to the Great Repeal Bill, which has been triggered in conjunction with the Brexit, the UK departure from the European Union. Nick, we really appreciate you bringing us this story. We hope to stay on top of it, and you give us updates as things continue to transpire. NICK DEARDEN:	Well, thanks for your interest. KIM BROWN:	Thank you, and thank you, and everybody, for watching The Real News Network.